The Fourth Squad reports the details of a Burglary that occurred at 5:00am in Valley Stream on December 30, 2013. 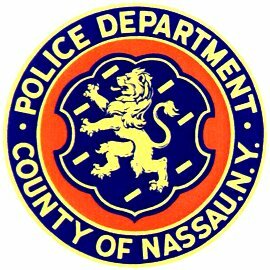 Valley Stream, NY - January 16th, 2014 - The Fourth Squad reports the details of a Burglary that occurred at 5:00am in Valley Stream on December 30, 2013. According to Detectives, the thirty-two year old male victim left his residence on Ballard Avenue between the hours of 5:00am and 8:00pm. When he returned home he found his residence had been ransacked and some personal items were missing. During the investigation photographs of the subject were captured. The unknown subject is described as a male white, thin build, straight brown hair, mustache with a scruffy beard, wearing a white colored jacket and shirt. Please see attached photo. Subject: LongIsland.com - Your Name sent you Article details of "Man Wanted for Burglarizing Valley Stream Home"